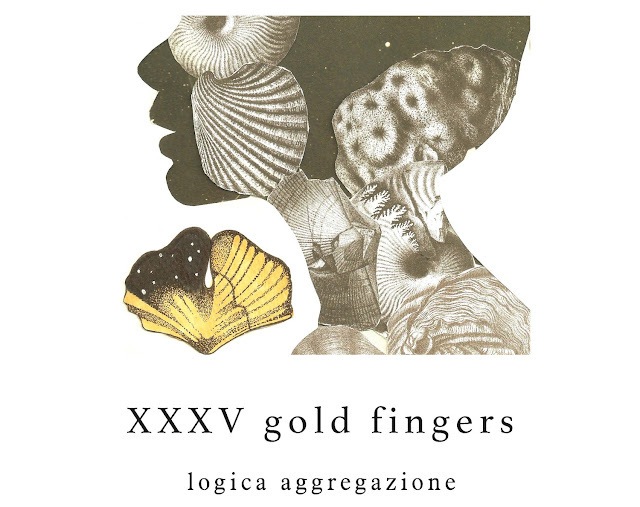 The third release on Italian label Tape Tales is ‘Logica Aggregazione,’ a debut album from Marco Erroi under his XXXV Gold Fingers moniker. He is a long-standing player of the Italian club and experimental music scene who serves up 11 tracks based around the concept of a system, understood as a result of aggregation and logic, a mechanism that embraces all events and that allows human beings to find balance while facing constant change. Erroi is a varied and vital producer who makes anything from house to techno, library music to acoustic sounds. He is co-founder and owner of Common Series -a label which only puts out his own music - and he is also co-founder of Squat Party, which plays out in various secret locations. He is a personality open to the influences of a wide variety of music all absorbed during twenty years of passionate work in the field. He makes music that mixes the organic and the synthetic, the environmental and the fantastical, using found sound recordings, guitars, vocals, keyboards and tambourines that make for earthly electronic music that is both cerebral and visceral. 'Logica Aggregazione' also draws on electronics, experimental, folk, IDM, concrete music and soundtracks created for contemporary art performance. Essentially, it is a project that summarises the artist’s long career and the life philosophy of the producer. Starting slowly with some chords and live sounding downbeat drums of 'Pensiero Sorgente', ‘Sintonizzazione’ is then wired up with glistening pads, crisp drum hits and Balearic chords thats are both thoughtful yet arresting. ‘Teatro Mondo’ teases with a distant acid line and beautiful keys dangle above broken beats, ‘Universe 303’ is a heavenly piece of music with big guitar licks and acid squelches, delicate synth lines and celestial beauty oozing from within. ‘Antinomia’ is a zoned out sonic day dream with the sound of distant vocals mired by pixelated chords, while ‘Trasformazione’ is another blissful mix of emotional chords and sharp electronic sounds that sinks you into a reverie. The second half of this most compelling album touches on sun bleached ambient on ‘Pioggia a Berat’, shimmering and beatless electronics on ‘Antenne GG2’ and superbly pensive compositions like the serene synths of ‘Amnesia Uno’ and darker, more ominous atmospheres of ’Totalmente Altro’, which has treated vocals drifting between lo-fi crackle, sparse chords and folk strings. Last of all, ‘Terab’ sounds like listening in on a distant call to prayer and is utterly soothing. This is an otherworldly album full of evocative musical expressive and innovative ideas that takes you on a trip both inside and outside yourself.